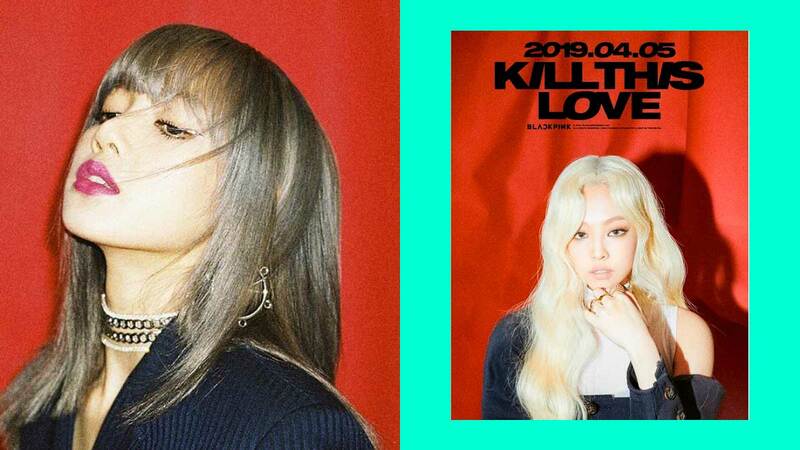 K-pop girl group BLACKPINK has announced that they're releasing their comeback song and mini album called "Kill This Love" on April 5, 2019! Lisa's teaser poster was released on March 25, and Jennie's was posted a day after. And guys, Lisa's got a shorter haircut with silver/ash hair color, while Jennie went platinum blonde for the first time ever! The two girls even posted each other's teasers on their IG accounts. Needless to say, fans are freaking out. According to YG Entertainment, here's what we can expect from "Kill This Love": "BLACKPINK's new song is a song that is even more powerful than 'DDU-DU DDU-DU.'" The company added, "BLACKPINK's choreography was composed [of] four world-famous choreographers, and is more dynamic than any of the choreography released by BLACKPINK. It will satisfy the anticipation and satisfactory level of global fans. BLACKPINK is currently shooting their new MV [music video] day and night for four days, working hard to finalize their preparation to make comeback." This March, BLACKPINK reached 20 million subscribers on YouTube! The group had their much-anticipated Manila concert on February 2 at the SM Mall of Asia Arena and are set to perform at this year's Coachella music festival in April.